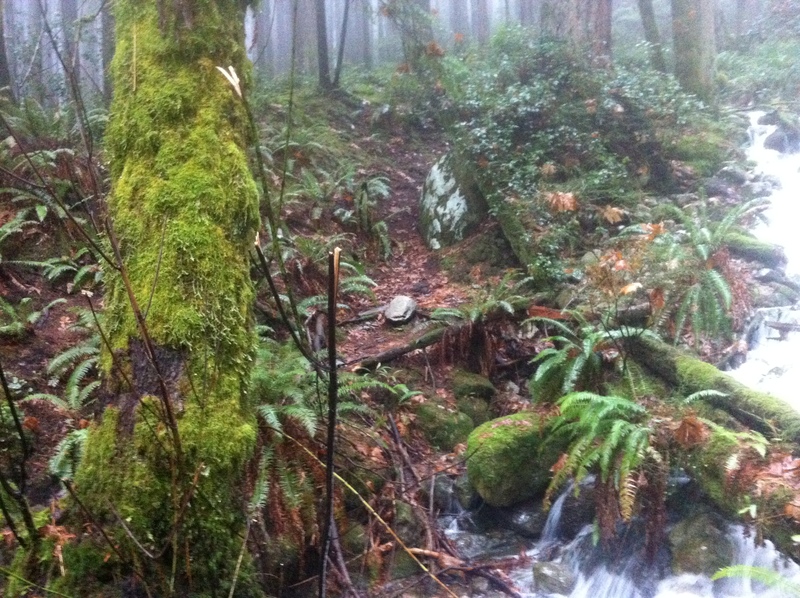 There’s nothing like kicking off the month of December with a hike through the temperate rainforest! 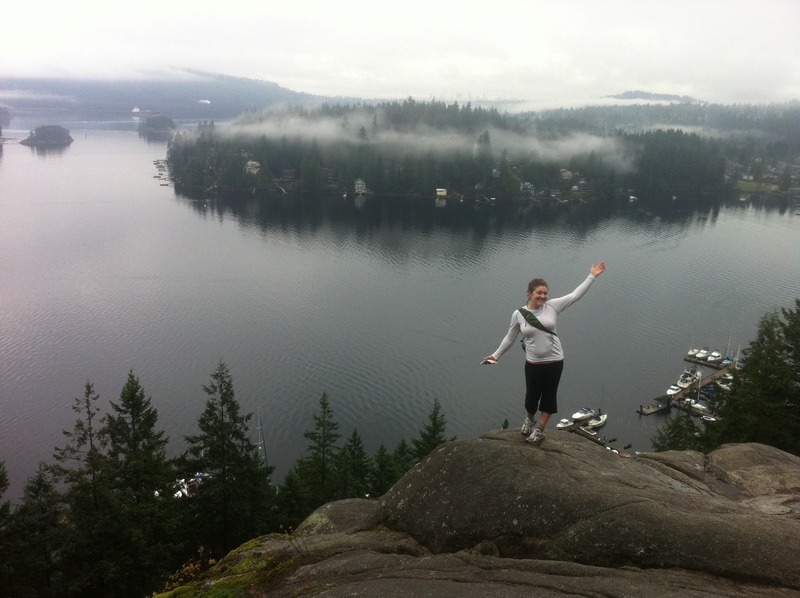 Despite having lived my entire life in the Lower Mainland, I had never hiked Quarry Rock until today. 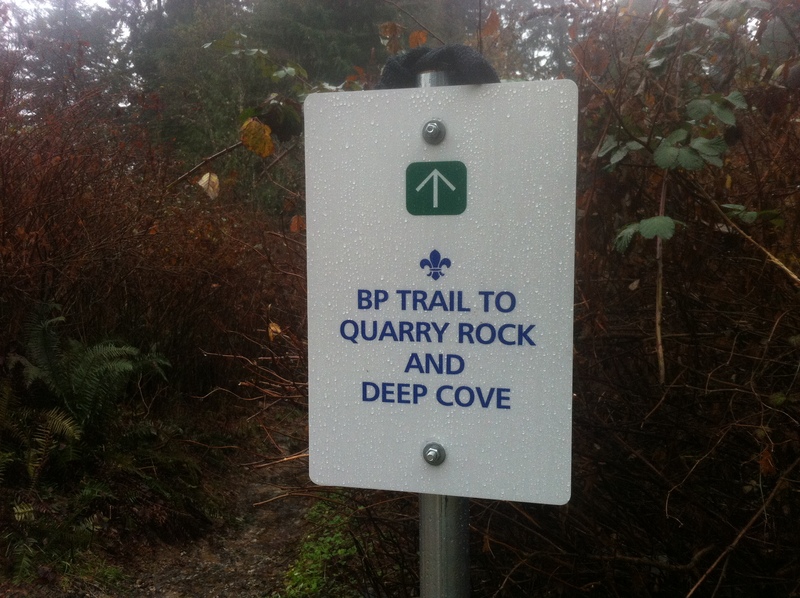 What makes this somewhat odd is that Quarry Rock is probably one of North Vancouver’s most popular short hikes. I joined up with my friend Kelly, as we had made plans to go hiking today, but never locked down our final destination until we were driving over the Lion’s Gate Bridge. I considered Lighthouse Park as the sky was threatening rain, but it was more of a walk and less of a real hike. Kelly mentioned Quarry Rock, and when I mentioned I had never been there, it was a done deal. The Quarry Rock hike itself is relatively short, which suited us perfectly because we both had potential afternoon plans. According to Vancouver Trails, it’s 3.8 km, takes two hours, and only has an elevation gain of 100m. 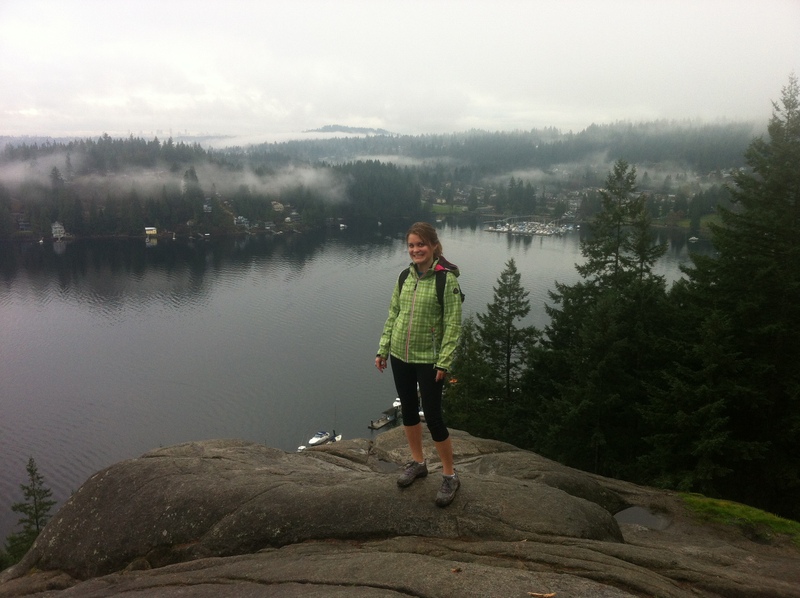 From the affluent suburbia of Deep Cove, you start off on the Baden Powell Trail, and immediately start climbing uphill into the temperate rainforest, over gravel, tree roots and rocks. Over the course of the hike, you also traverse several bridges spanning rushing streams and waterfalls. Despite being so close to the city, you get that sense of being in the middle of nature, far away from civilization. 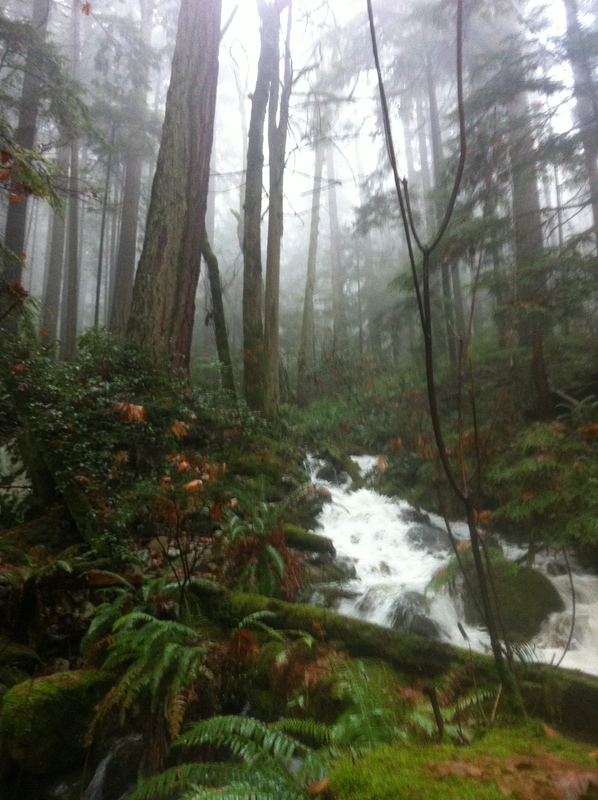 We also had fog during our hike, which made for an ethereal atmosphere, and the waterfalls were particularly powerful, roaring from all the recent rains. 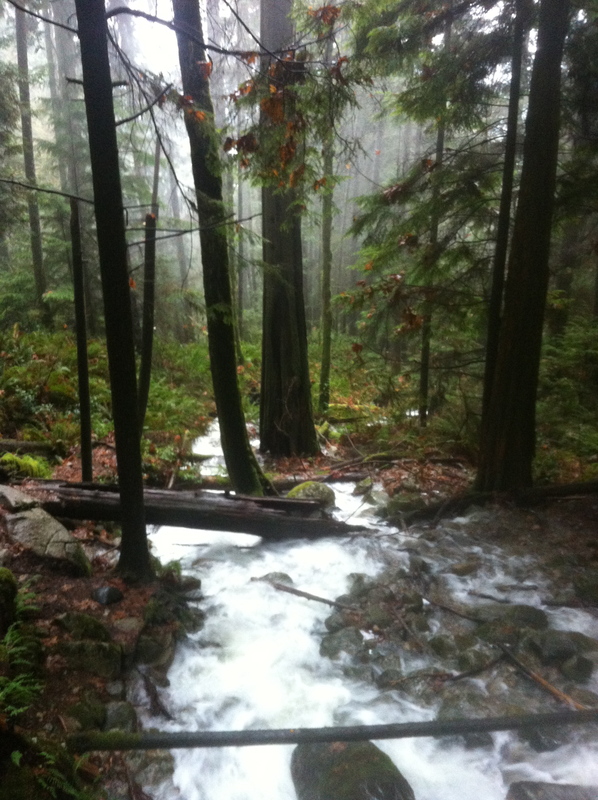 As we continued on, we both agreed that this hike gives you a sense of what living in Vancouver is all about… compared to say, the Grouse Grind, which we argued isn’t a real hike, and says more about Vancouverites’ competitive fitness than our love of nature. But Quarry Rock? It’s the perfect small hike for when you want to experience the best of local nature, but have limited time. Approximately 40 minutes after we had started the hike, we had arrived at our destination. 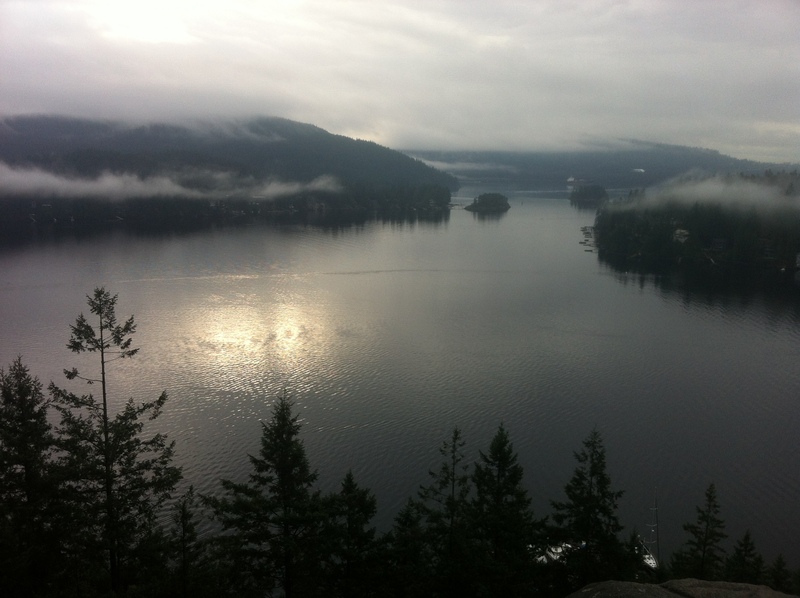 The forest opens up to a granite outcropping, and you’re treated to the most spectacular view of Indian Arm and Deep Cove. 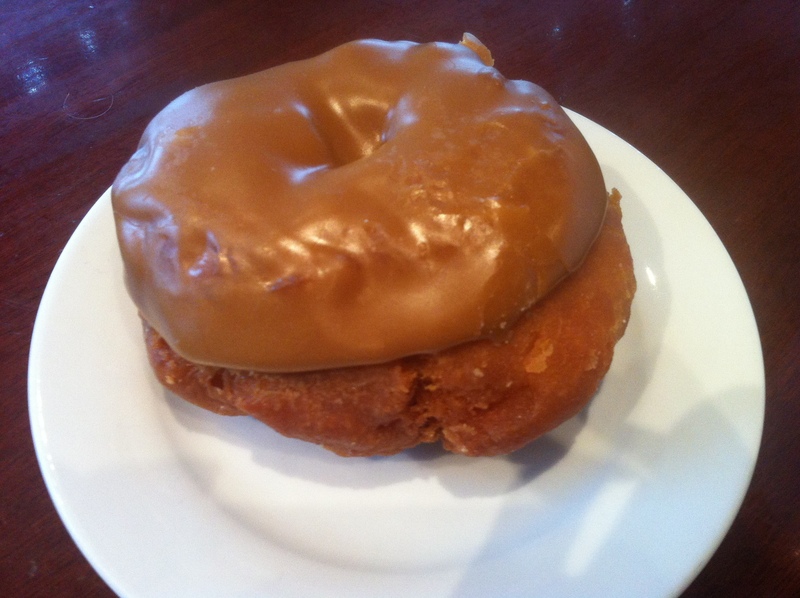 When we got back to the start of the trail, we strolled into the village of Deep Cove to have a donut at Honey’s Doughnuts & Goodies – another local institution I had yet to visit, but had heard much about. We both ordered double Americanos and enjoyed a maple donut, and sat inside the busy cafe, watching the world go by on the sleepy streets of Deep Cove. Honey’s doughnuts are intense, by the way. They’re caky and dense (in a good way), with a satisfying deep-fried crust. While a little goes a long way, after an hour and a half of hiking, it was the perfect way to end our outing at Deep Cove.